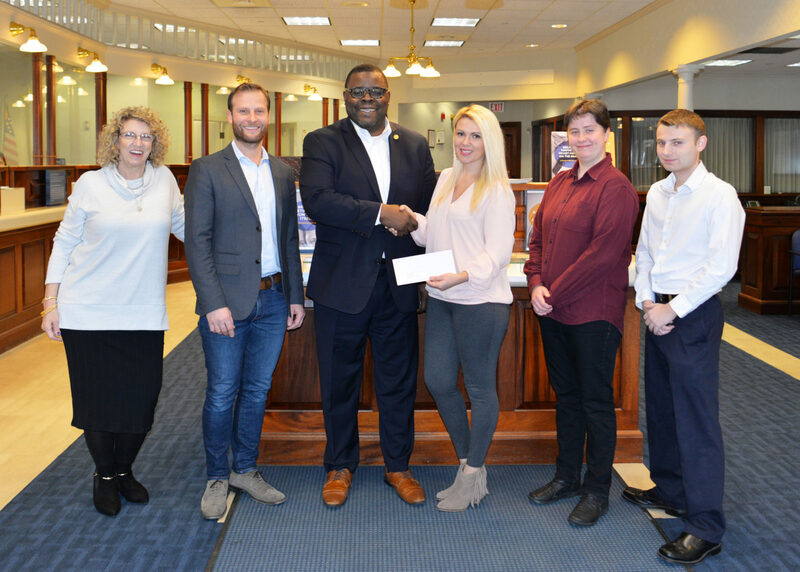 SWAMPSCOTT, MA – March 16, 2018 – In support of Longwood Care’s behavioral health and therapeutic youth mentoring services, Salem Five has provided a donation of $500. With this donation it is made possible for therapeutic youth mentoring to become a critical component of community services made available to children and families. Therapeutic youth mentoring is designed to help children (including teens and adolescents) learn to better understand and communicate feelings, relate to others and build positive relationships. This program is a community-based service of structured, one-to-one mentoring sessions via a mentor and is offered in the locations most conductive to the acquisition of skills, including the youth’s home and a variety of community sites to provide an opportunity for skill building through experience. Mentorship includes interpersonal and problem solving skills, emotional and behavioral control, and improved communication among peers, adults and family. Longwood Care is dedicated to offer youth mentoring within nearby communities for clients who do not meet private requirements as well as those who carry commercial policies for whom this service is inaccessible. About Longwood Care – Longwood Care’s mission is to enrich the lives of children and enlighten the lives parents through empowerment, advocacy, inclusion, collaboration and education. Working with established organizations, city and state departments and other partners throughout the state of Massachusetts to transform child and family support networks by providing effective parent and child focused clinical and therapeutic training. Accepting Blue Cross Blue Shield (BCBS), MassHealth, Self-Pay, and all major insurance plans. About Salem Five Bank – Salem Five Bancorp is the parent bank holding company of Salem Five, a mutual institution founded in 1855. Salem Five has 34 retail branches in Essex, Middlesex, Norfolk and Suffolk counties in Massachusetts and in New Hampshire. Divisions include Salem Five Mortgage Company, Salem Five Financial and Salem Five Insurance Agency.